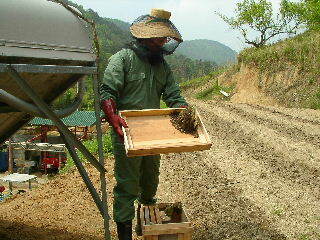 A Japanese bee would be gotten from Mr.Tomosan, and Mr.Tomosan brought it to my house. 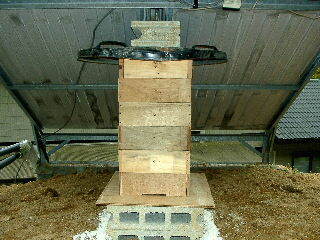 The move of the nest was done by the full armament though it was hot. It is clothes of boots in strong clothes, the straw hat, the net, and the rubber glove that clothes put on in addition on. The right is a macro photography of the nest of a Japanese bee that made it in the ceiling of the West hive. Nests were four layers. Nests were four sideways layers and it thought unexpectedly. There seemed to not be so much honey yet. I am just surprised at the nest that was able to be done beautifully and elaborately. The bee was able to be seen obediently at ease. 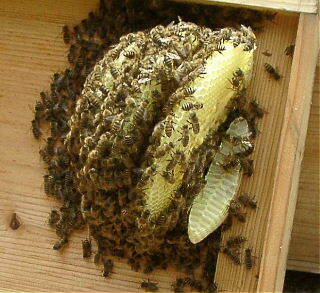 Each nest is peeled off, and it moves it to a new Japanese hive. Please see the way of using ones hand to which it becomes accustomed about the hand about Mr.Tomosan. The bee was exciting or made the sound named [bubububu] and was shaking oneself. Bare-handed of a right photograph is madam of Mr.Tomosan. The net was not covered and it touched by bare-handed. I am surprised for this, too. 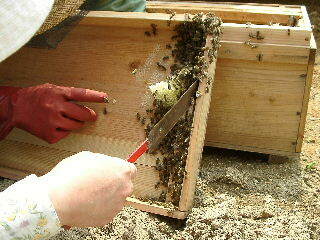 It looks for the queen bee. I of course borrow and, am covered of the net. 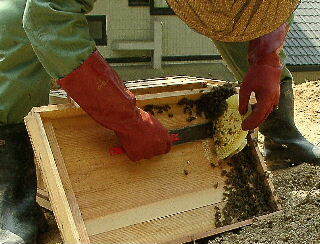 It is a Japanese hive that completes the movement. Do it like and do it live?The place is done under the solar water heater. A white thing around the block is ant division slaked lime. 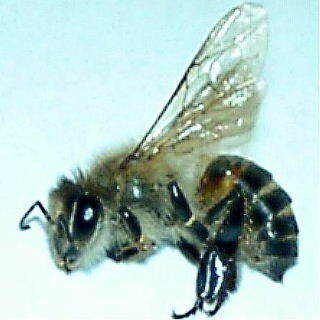 The bee had the corpse when often seeing in the evening after the move though bee's life was heard it was short. It was dead though there was no injury. I thought the transience of a short life to be poor. It took in the photograph because it was special.